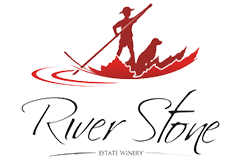 River Stone is a small, family owned and operated winery located in the South Okanagan. We are located just north of Oliver, BC Our estate grown, single vineyard wines, are a reflection of our premium quality fruit, terroir, and the ideal climate of the South Okanagan. We grow Merlot Cabernet Sauvignon, Cabernet Franc, Malbec, Petite Verdot, Pinot Gris and Gewürztraminer. River Stone Wine Club-One case /year commitment. Convenience of receiving wine when you want and what you want. 10% discount on all wines purchased through the year for wine club members. Wines available online and onsite. Wines are also sold in select Private liquor stores. Look at our web site -Find our Wines section for details. Tasting Room hours : May 1 through October 15 Open Daily 11am-6pm. After October 15 by appointment. Tasting Room hours May 1 - October 15 Open Daily 11am-6pm After October 15 by appointment.